This is a mid-travel trail bike that has received a pretty large makeover in recent years. 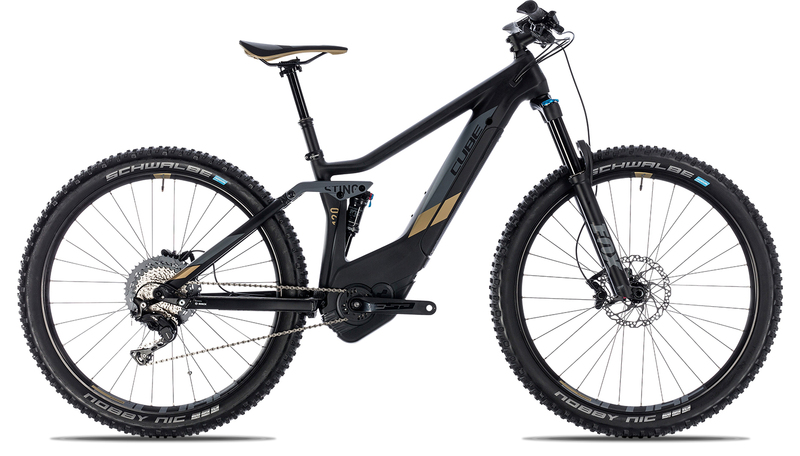 Cube has gone above and beyond the call of duty, turning the Sting into a bike that really does pack a punch on the harshest of trails without being over the top in terms of relative price. When we received the Cube Sting for review, we noticed a few things about its design that made us happy. For one, there was 120mm of travel, which made it perfect for harsh terrain without having to worry about clogs, knocks and more. Versatility is obviously a huge factor of design in the Sting as is obvious from the way the design of the bike frame has changed. There is a tapered head tube (without a similar fork), and a very simple, stiff and efficient frame that does its job and does it well. The suspension of the Sting is also very effective indeed, with Matched Manitou shocks and air springs. No fault can be found with the handling of the bike or in the ride itself either. However, we did feel like the agility that was so powerfully advertised didn’t really present itself during our review. There were no complaints during the test ride, but there was nothing for us to write home about either. In fact, while we found the bike amazing in its own right, if there was another word that could be used to sum up the disadvantages of the machine, it would be “boring”. A sturdy, dependable trail bike that promises low risk of failure and pairs it with the perfect ride for a beginner – one that isn’t too exciting or scary. While we really did enjoy the Cube Sting and how it handled, we felt that the issues such as it being an all-round boring ride were a little too serious to forgive. However, we really do recommend this highly to all beginners because of its reliability and versatility!